Autonomous systems are emerging as a driving technology for countlessly many applications. Numerous disciplines tackle the challenges toward making these systems agile, adaptable, reliable, user friendly and economical. On the other hand, the existing disciplinary boundaries delay and possibly even obstruct progress. I argue that the non-conventional problems that arise in the design and verification of autonomous systems require hybrid solutions at the intersectionÂ of learning, formal methods and controls. I will discuss three problems at varying levels of detail. The results in the first problem will help program autonomous systems in hours---as opposed to the current levels of days or weeks---to deliver complex missions in dynamic and adversarial environments with provable guarantees of correctness. My studies of the second problem have resulted in a series of new reinforcement learning algorithms. These algorithms---unlike conventional learning algorithms---provide strong guarantees with respect to given formal specifications expressed in variants of temporal logic during training and execution. The third problem focuses on developing verifiable algorithms for control-oriented learning that will help autonomous systems survive abrupt and possibly severe run-time damage or faults with minimal sacrifice in the mission objectives. Throughout the talk, I will place the results in the context of aerospace applications with concrete examples. 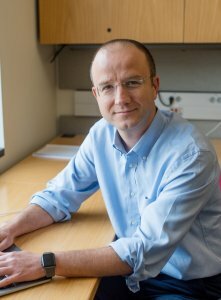 Ufuk Topcu joined the Department of Aerospace Engineering at the University of Texas at Austin as an assistant professor in Fall 2015. He received his Ph.D. degree from the University of California at Berkeley in 2008. He held research positions at the University of Pennsylvania and California Institute of Technology. His research focuses on the theoretical, algorithmic and computational aspects of design and verification of autonomous systems through novel connections between formal methods, learning theory and controls. He has received the NSF CAREER and AFOSR YIP awards.